DER Official website, renewal !!! Hello, this is wappa writing! 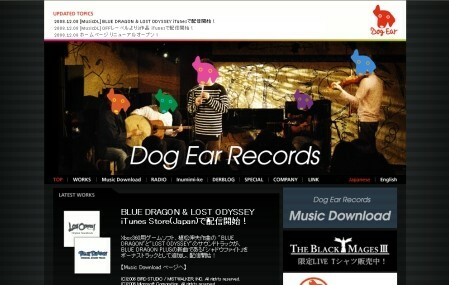 Today's news is about the renewal of our Dog Ear Records Official website. Please click "English"button on the right side of the website. Lots of new items are added to the Music Download Catalog! All the "iTunes buttons" on the catalog are linked to iTunes Store JAPAN. So, please first check the "teritories"information, and use the search window to find the items in your country's iTunes Store. (P) 2008 Dog Ear Records Co.,Ltd. (C) 2008 SMILE PLEASE CO.,LTD / 2008 Dog Ear Records Co.,Ltd. (C) 2007 SQUARE ENIX CO.,LTD. 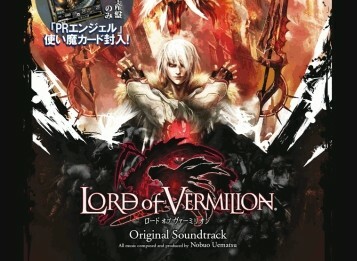 LORD OF VERMILION is a registered trademark or trademark of Square EnixCo.,Ltd.